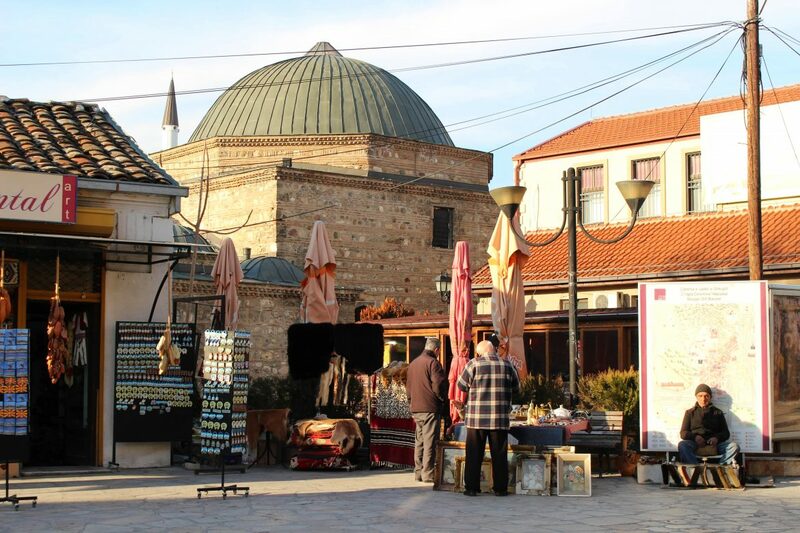 Skopje, the capital of the Republic of North Macedonia, is not your most average destination. 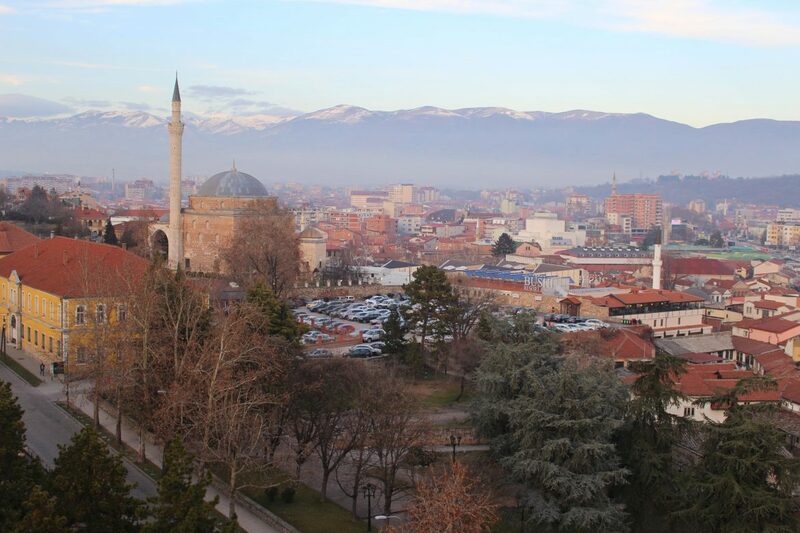 It is hard to pinpoint what Skopje exactly has to offer. This city is, to put it lightly, a quite odd place. A city with an identity crisis and as a result you find pieces and bits of everything. I cannot say it is a beautiful place, but I can also not say it is ugly. Unique and kitsch are the best words to describe Skopje. 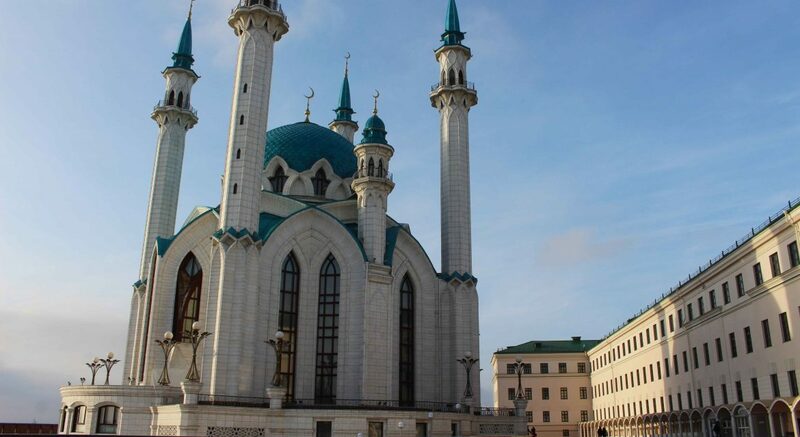 The capital is often referred to as a Disneyland-like theme park. For tourists kind of fun to explore, for the local residents not so much. 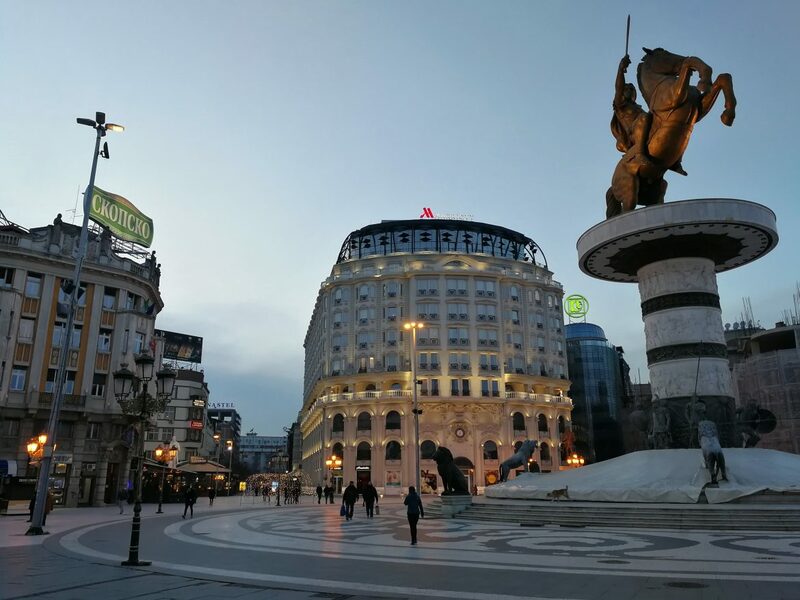 Earlier this year (2018) I visited Skopje for my job and it was my first visit to this unique city. 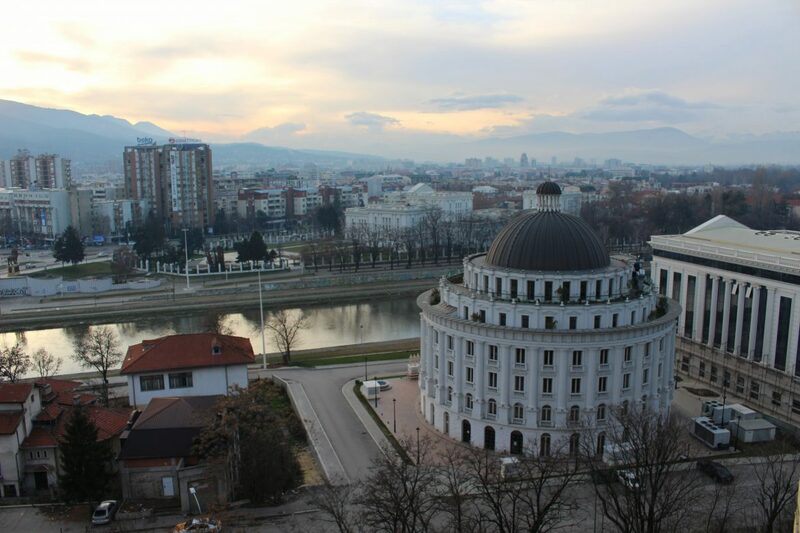 And all in honesty, I must say that I actually liked Skopje. Maybe because of the fact that it is an odd city, it also makes it very interesting. 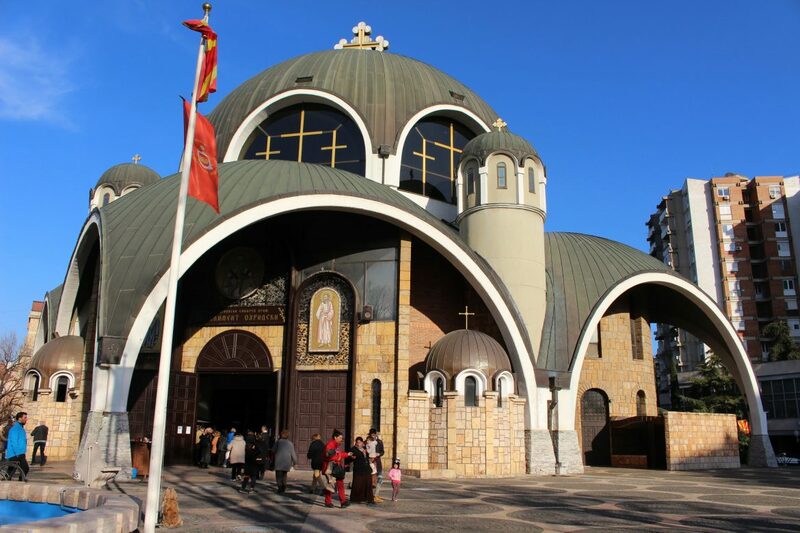 In this article I will share my tips and recommendations for things to do and see in Skopje. 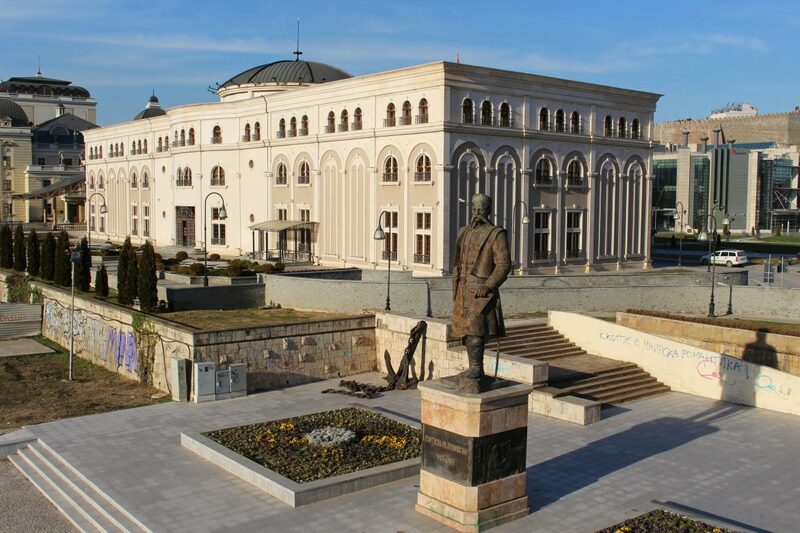 When you read about Skopje, you read about the abundance of statues. 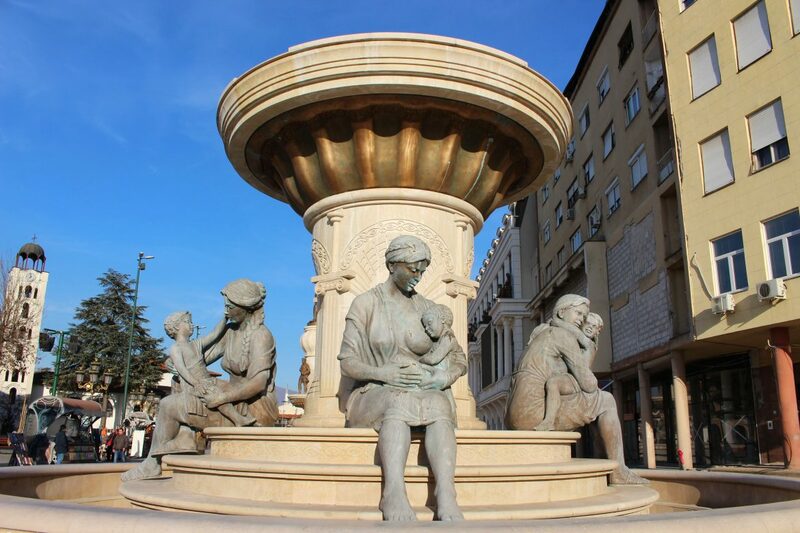 Even the inhabitants could not tell you how many statues you can find in Skopje. 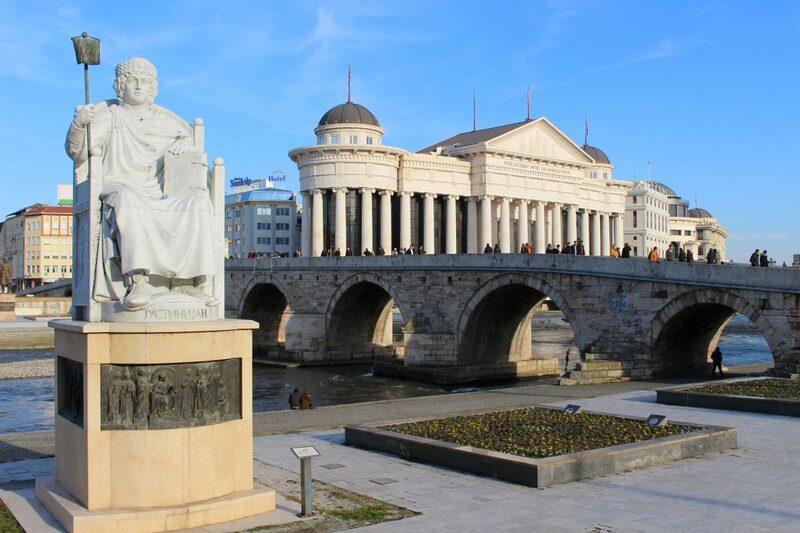 A typical Macedonian joke goes like this: Do you know how many statues there are in Skopje? Answer: I do not know, but I think there are more statues than people! Conclusion: there are just too many of them. The statues are installed during the redevelopment project ‘Skopje 2014’. An extremely expensive project that aimed to redevelop the city into an attractive tourist destination. The Republic of North Macedonia has a rich history and the city was supposed to be a reflection of this. The city center got a complete make-over. As the name suggests, the project should have been finished in 2014, but when I was visiting the city (2018) it was still under construction. 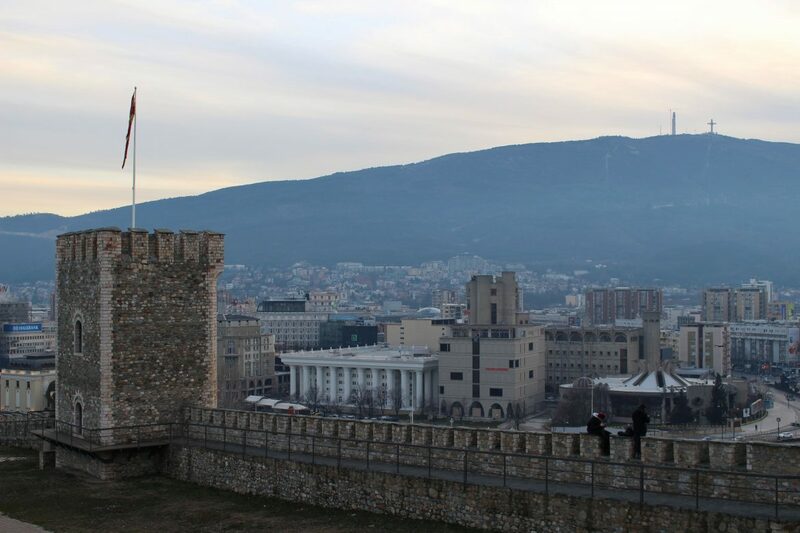 Has the project achieved its goal and are more tourists coming to Skopje? Well, the city is definitely attracting more tourists, but they come to the city for a different reason. 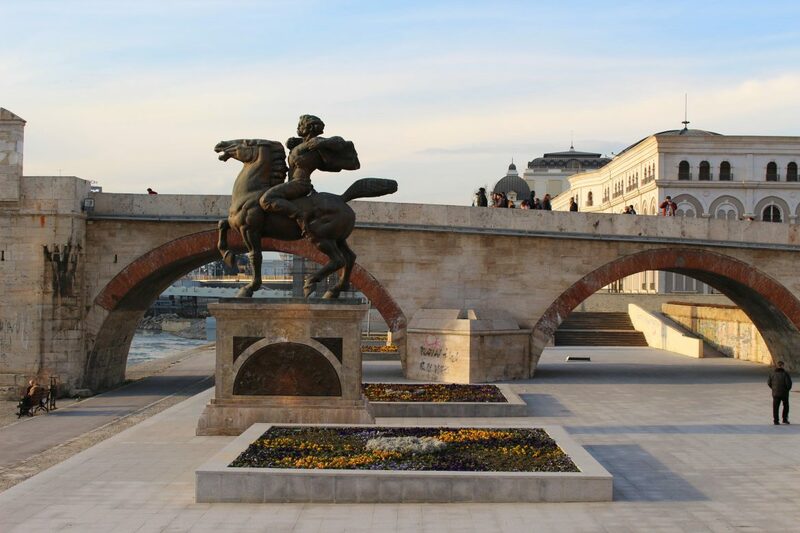 Not to admire the beauty of Skopje, but to see the bizarre amount of statues of Skopje. A popular game under tourists is: how many statues can you spot in 24 hours? Personally, I thought that the statues were fascinating to see. 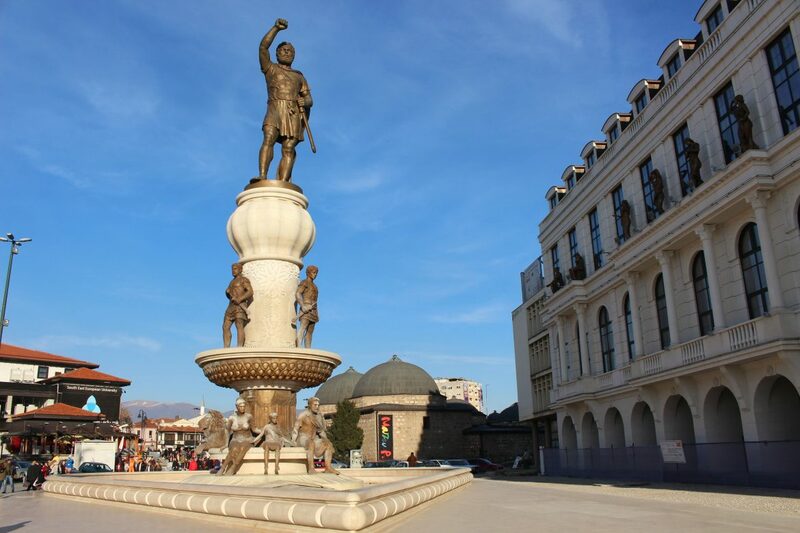 The most interesting one is the statue in the middle of Macedonian Square, the central square of Skopje. This is Alexander the Great, but you cannot use this name due to the Greece-Macedonia conflict. Greece says that Alexander is Greek and North Macedonia says he is Macedonian. And that is why the statue has been given a neutral name: the Great Warrior. In general, I found all statues interesting to see, but at the same time it was sad to think that all this money could also have been spend on more useful things for the city. Not everything in Skopje is bizarre or weird, the city also has some beautiful side. 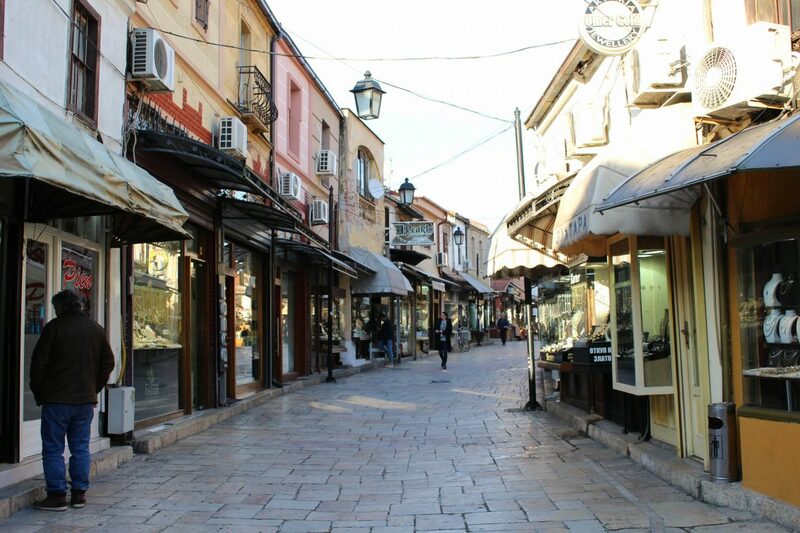 Cross the Stone Bridge and head over to the beautiful Old Bazaar of Skopje. Under the Ottoman rule this was the most important area of the city and it was the center of trade. Due to earthquakes and wars the bazaar was damaged several times, but every time it was rebuilt. Personally, I felt that the Bazaar has a pretty authentic feeling. 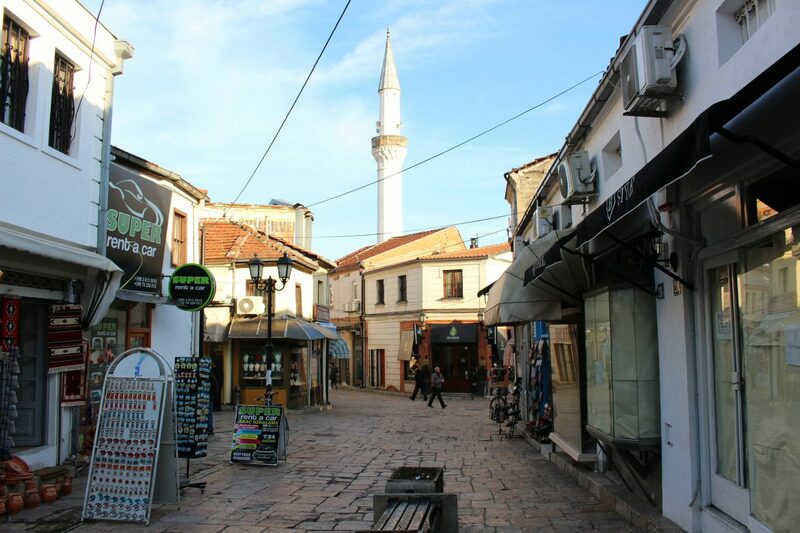 It reminded me of the old center of Sarajevo, one of my favorite Balkan cities. 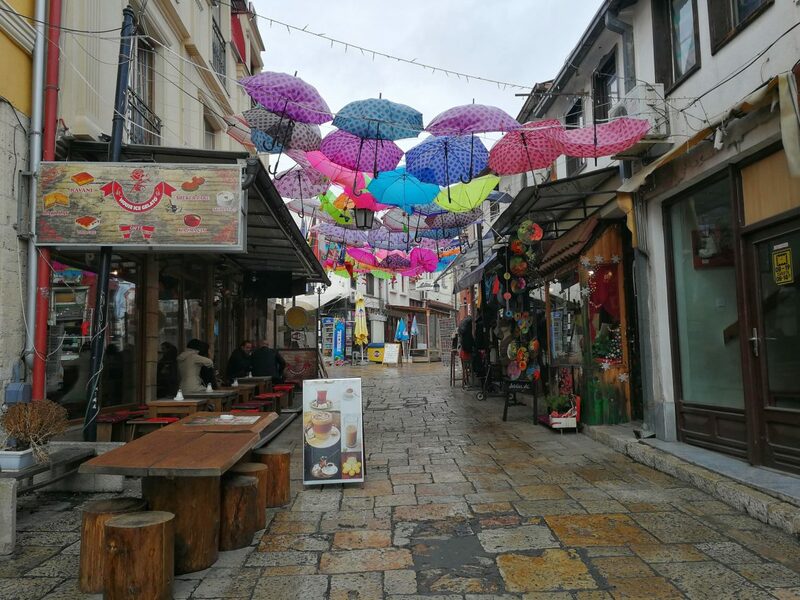 And this thought is actually not that strange, because the Old Bazaar of Skopje is together with the bazaar in Sarajevo one of the largest bazaars in the Balkan. 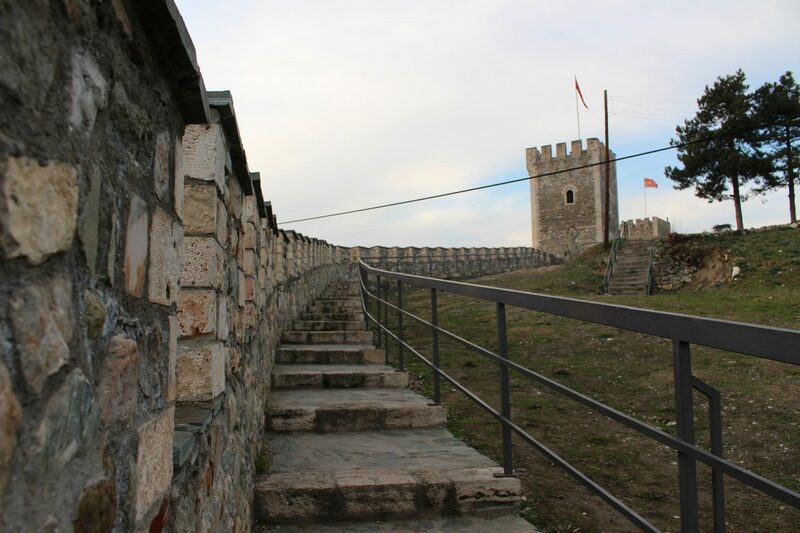 Another beautiful part of Skopje is the old fort. High up on the city hills you can visit the remnants of Kale, the former fortress of Skopje. It was built in the sixth century by the Byzantine Empire. Today, there is sadly not much left, except for the defensive walls and the watch towers. But the walls do give you an awesome view over the city center. 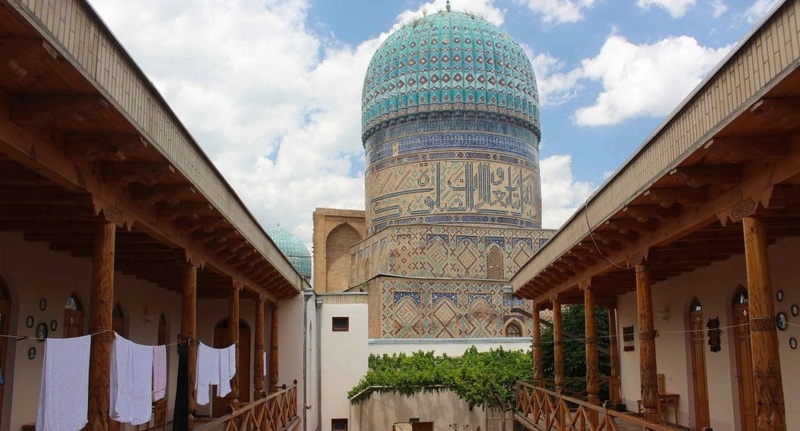 How to get here: walk all the way to the end of the Old Bazar and go up hill to the Mustafa Pasha mosque. On the left side is the entrance to the fort. Entrance is free. When you hear the term ‘brutalism’, does it ring a bell with you? 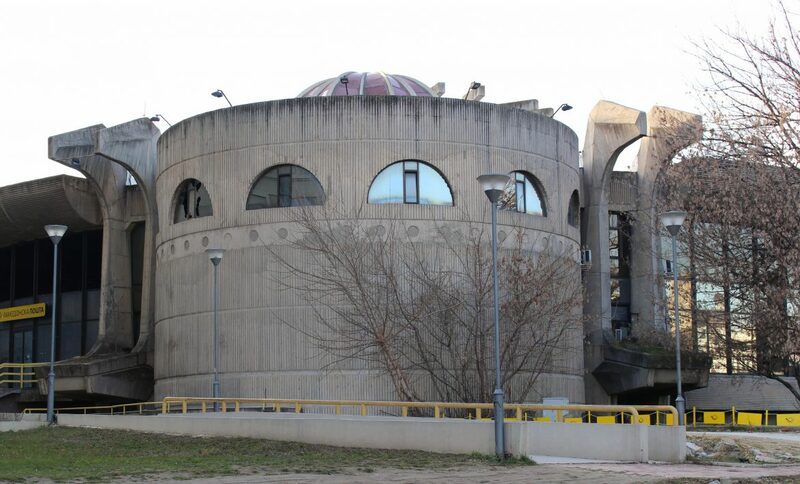 Before my visit to Skopje, I was not familiar at all with this architectural style. And then I came to Skopje and I start noticing a couple of weird buildings. Later I started reading about them and I found out that Skopje is actually known for its large amount of modern brutalistic buildings. The reason for this is pretty sad. In 1963 the city was devastated by a huge earthquake. The city had to be completely rebuilt. 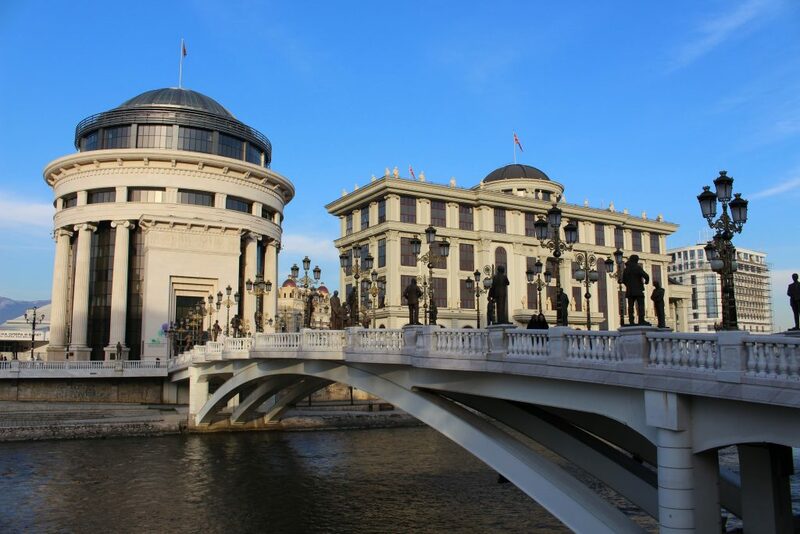 The UN decided to help and created a fund to redesign Skopje. 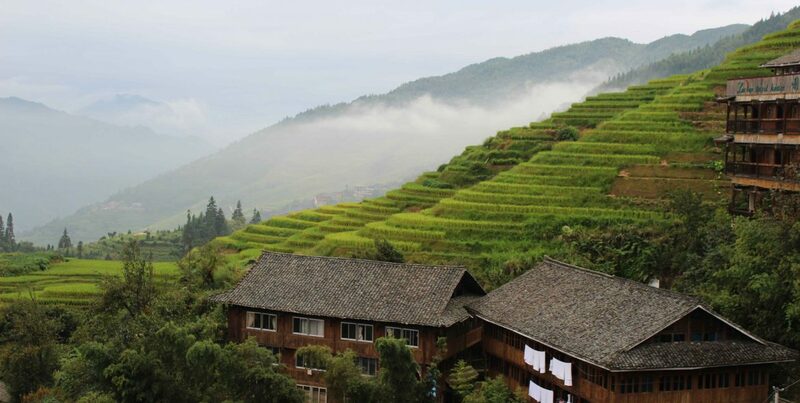 The Japanese architect Kenzo Tenge was chosen as the chief architect to oversee the project. He introduced the brutalist construction style. Distinctive features: block patrons, geometric shapes and concrete construction. 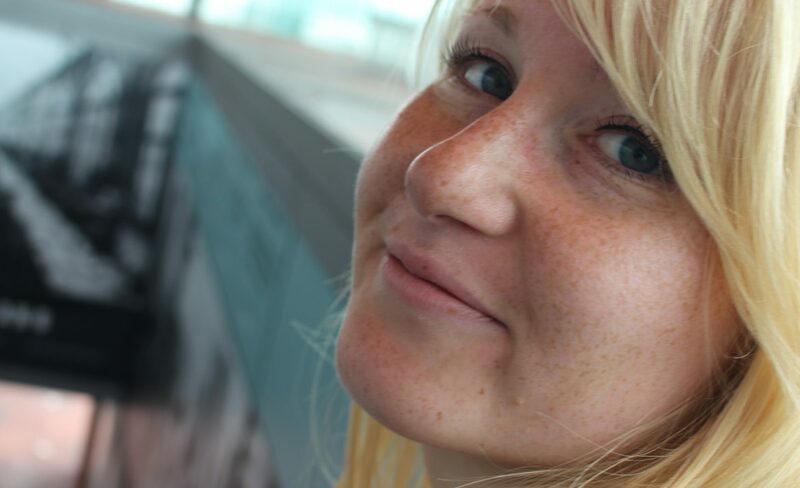 The style was popular and spread around the entire Balkan. Later this year (2018) I also saw some brutalisic buildings in Pristina. Is it beautiful? Well no, it is unique and striking and it therefore fits with the quirky look of Skopje. 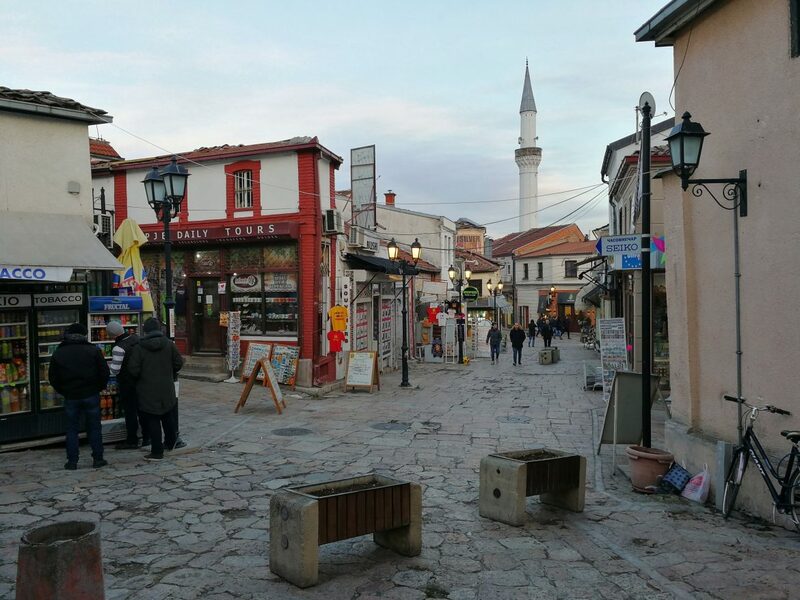 Take a walk in the coolest area of Skopje: Debar Maalo. This is the popular spot amongst locals and it is at walking distance from the city center. Are you looking for nice place for dinner or do you want to go for a drink, then this is the place. 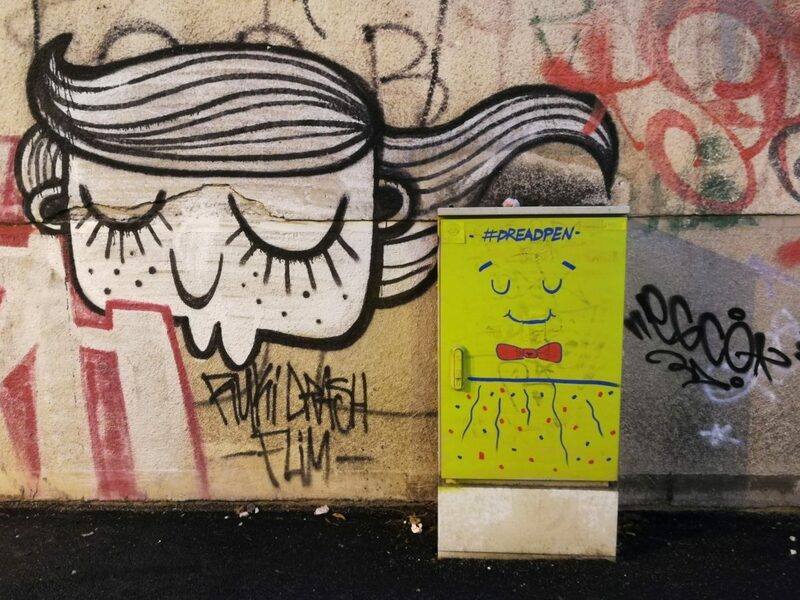 Pay attention to the artistic electrical boxes, they are often brightly painted. I saw some nice works at Boulevard Linden, the road in front of the government building of Skopje (‘White House of Skopje’). Tip for the vegetarian and vegans amongst us: grab a bite at BistRaw Zdravo Zivo. I came across this place by chance and I thought it looked so cute. Staff was friendly and the chocolate cake was just perfect. Other recommendations: Vegan 365 Kitchen, Harmony and Vega Fresh. Still got time left? Go up the Vodno mountain and admire the view from the Millenium Cross. I did not have the time for this, so it is on my list for next time. The cross itself is a stale construction and is not that special, but the view is amazing. How to get there: go to the bus station and take the ‘Millenium Cross’ double decker bus to the cable car station (35 MKD), then take the cable car up the mountain (return ticket: 120 MKD). 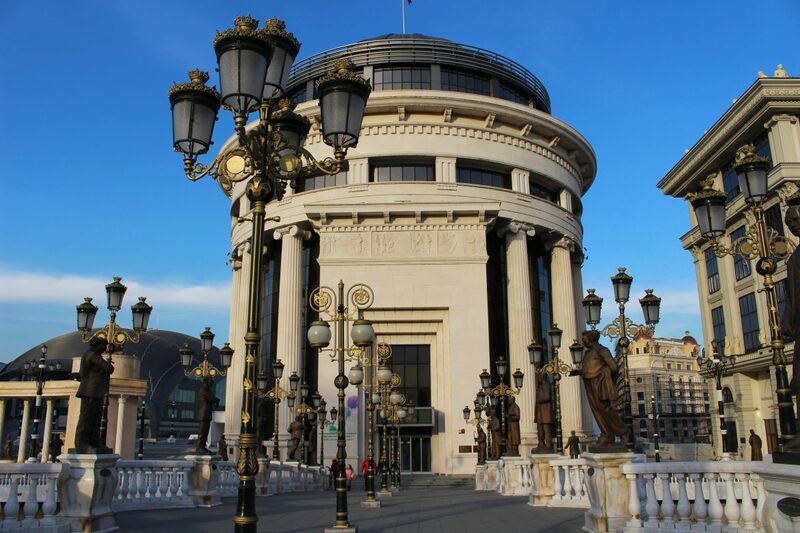 Would you visit Skopje? What are your thoughts of this quirky city?